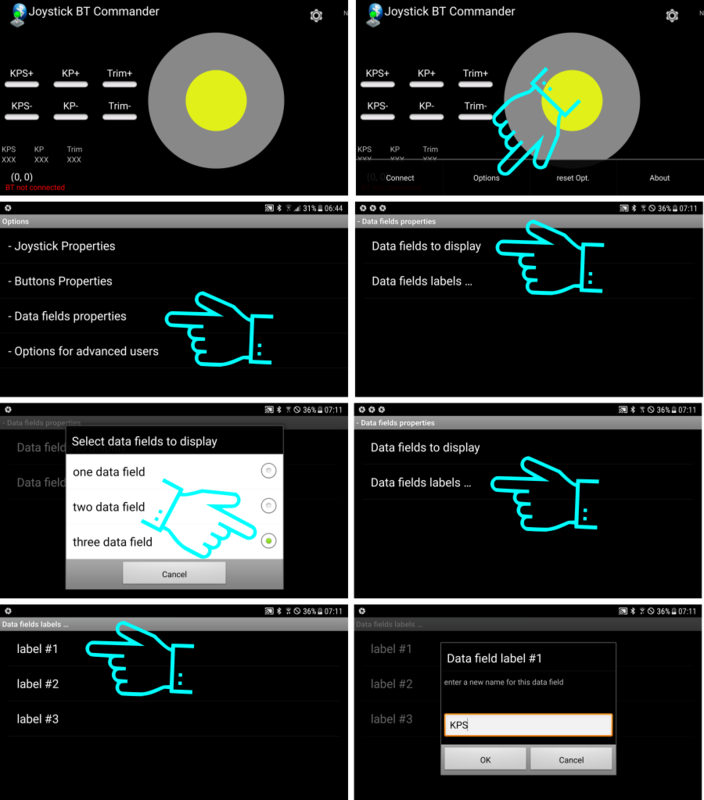 Android - Joystick bluetooth Commander ( Requires TBot_B.ino). Writing your own Apps - You can find the T-Bot app written using MIT App Inventor here. There is a lot of room for improvement! Have a go! 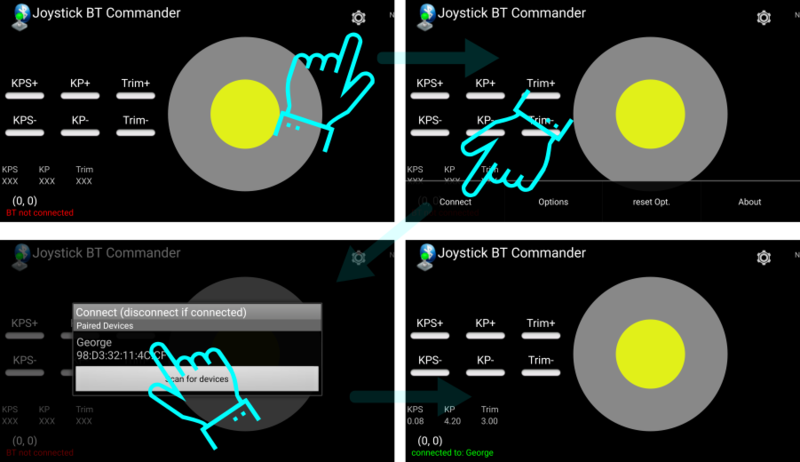 Another way to control the T-Bot is to download Joystick bluetooth Commander. This is a more mature controller than the T-Bot Controller. Simply install the app on your Android device and you can get started. Setup the buttons to look like the first image below. The most important thing you will have to change on your T-Bot for now is the trim. You can can use the Trim+ and Trim- buttons to adjust this. If your T-Bot is rushing forward, press Trim- repeatedly until the drift is removed. Likewise, if your T-Bot is rushing backwards press Trim+ repeatedly until the drift is removed. Once you're happy, you can hard code the trim value into the TBot.ino file. Look for the following lines and set gtrim to the value showing in the Trim datafield (3.0 in the example above). You can now upload the T-Bot.ino code to the T-Bot to make the change persistent. float gtrim = -1.25;   // Compensated for drift in forward or reverse direction. float rtrim = -0.0; // Compensated for rotational drift.